Whether you got the super new Apple Watch Series 4 or have landed on the previous versions of this stylish wearable, there are lots of things that you can do with your watch. Like all the high tech watches, it also comes up with some clever hacks that you’d wish you knew. With that being said, here are all the useful and easy Apple Watch hacks that you should try out once. What do you do when you Apple Watch is ringing, and you want to stop the vibration and sound that is coming from it? You disconnect the call, but this is what you need actually to do. To silent, it, cover the watch face with the palm of your hand, and you are done. Moreover, the best part is that it won’t even hang up the person you are getting the call from. Have you ever thought that how you could actually take a screenshot from Apple Watch? To make it happen, hold both side buttons on your watch and the shot will be automatically stored in your photo album. Moreover, to find your photos, you can go to the Photos App, tap on the albums and then find your screenshot. Do you use Apple Watch for listening to your favorite music? If yes then here some features that you should know about. Within the music app, force touch on your watch screen, and it brings up four options for you, which include-Repeat, Source, Airplay, and Shuffle. There are times when your Apple Watch is in frozen mode and gets completely unresponsive. To force quit all the apps, hold power and crown button simultaneously. You will have to hold it for almost 15 seconds together and you watch will re-start from the beginning. Yes! 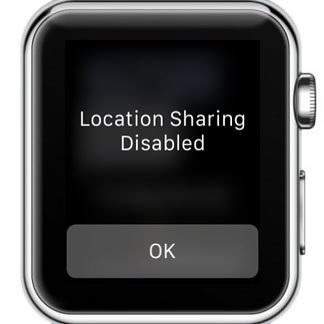 You can actually send the location through your Apple Watch. Force touch in your iMessage App and then simply press “send location.” Tap it once, and your user will get your location. Apple Watches are equipped with Apple Watch 5 and are considered as the best with a comprehensive operating system on it. It has also given an easy learning curve to all the new users, but the above hacks give you a great scope of customizing it according to your needs. Try this hack one after the other, and you will have a richer Apple Watch experience than ever.